If you're here, hopefully you've downloaded the extension, read the product release, and now you're itching to take the Casa Extension for a ride. No need to calm your urges – we understand the feeling. We put a lot of effort into making the Casa Extension easy to learn and even easier to use. However, we know that the first time can often be a little bumpy, so we put together this mini-guide to help you get acquainted with the Extension. Don't worry, we think you'll like each other. Show Casa some love by sporting one of our awesome stickers! Navigate to your browser extension. With the toggle set to Lightning, select the three dots in the upper-right corner, then select Open Channel. Fill out the first two fields as you wish. These are for personal reference. Paste the Casa connection code into the Peer Connection Code field. Specify your channel capacity. Always make sure the channel capacity is large enough for the transaction you’re about to make. Once the channel connection is established, in the Casa store, select Pay with Bitcoin during step 4 of the checkout process. 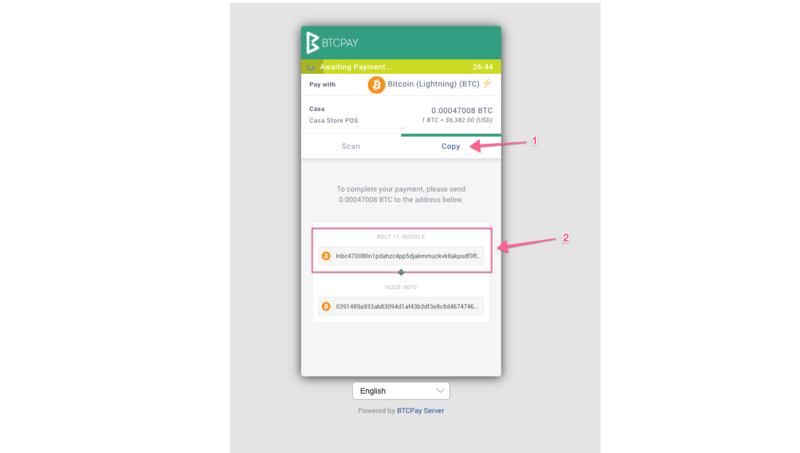 Click the BTCPay button on the confirmation page. Copy the Lightning payment request code from the BTCPay invoice. In your Casa Extension, select Send Payment, and paste your Lightning payment request code into the payment code field. Select Review Payment, then confirm! It’s that easy. Tippin.me is an awesome way to show your appreciation for somebody via some crisp satoshis. 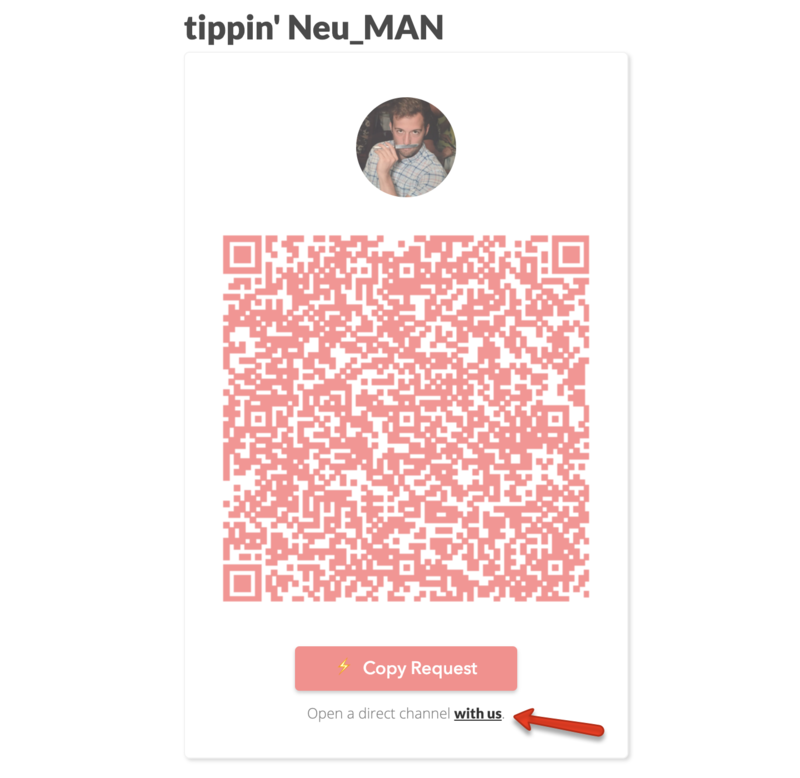 Once you’ve signed up for an account (tippin.me uses your Twitter account for credentials), you can open a channel with tippin.me directly using the peer connection code found on your profile page. Once your connection is established, you can send payments by opening someone else’s profile page and selecting the Copy Request button. Paste that code into your Casa Extension’s Payment Code field, and give the gift of satoshis! Satoshi’s Place is effectively the same tool. Give it a whirl by drawing something and watching your price in Satoshis go upward. Once you’re finished going all Bob Ross (or Banksy, whatever your vibe is) on that canvas, find the “Submit” button at the bottom of the page. Then, copy the node information into your Casa Extension to open a new channel with a high enough capacity for the transaction. Next, navigate back to Send Payment in your Casa Extension, and copy/paste the payment request code from Satoshi’s Place into the Payment Code field. Remember: there are no mistakes, only happy accidents. Looking to crank your recklessness up a notch? Head over to Lightning Spin. With a minimum wager of 1,000 satoshis, you can spin the wheel* and get to winning. As soon as you click Spin, you’ll be prompted to pay for your spin. 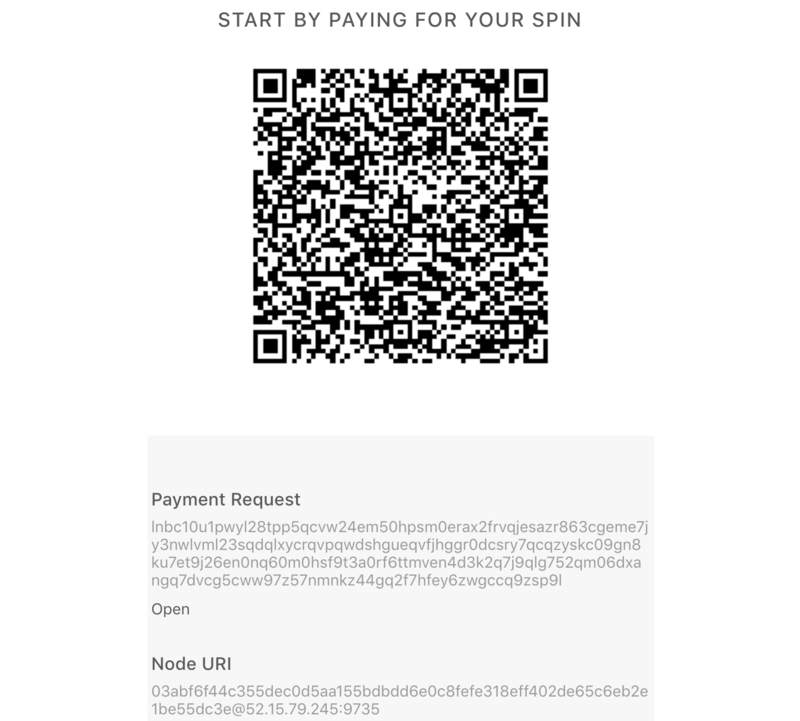 This will open a dialogue box with Lightning Spin’s connection code and payment request code. You know what to do with these! Y’alls, a project by Alex Bosworth, has been a haven for the #reckless for some time now. Among several other features, the site allows users to post articles for a nominal fee ($0.05 USD). Users are then able to read other articles after bypassing a similarly low paywall. If you post an article, you get a cut of the payouts from readers. Simple as that! To find the Y’alls connection code, navigate to the About section in the top banner. You’ll see the code in the bottom-left box. Your training is now over, and it’s time to remove your blindfold. You’ll soon realize (if you haven’t already) that it’s so easy you don’t even need our guidance. We’re really excited to be bringing you this awesome tool, so we hope you enjoy testing it out. If you find any other cool uses, send us a tweet @CasaHODL.